Vous pouvez vous abonner pour être notifié par mail d'une mise à jour ou d'une réduction. 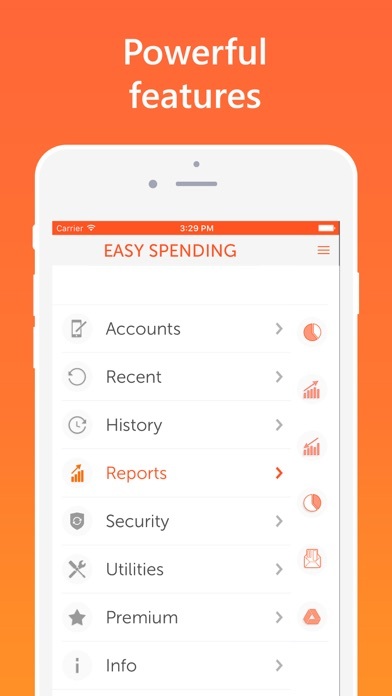 The Easy Spending expense tracker, is the most powerful and convenient daily money management, and budget planning App, for iPhone and iPad, that neatly tracks all your cash flow between different accounts that you can budget. 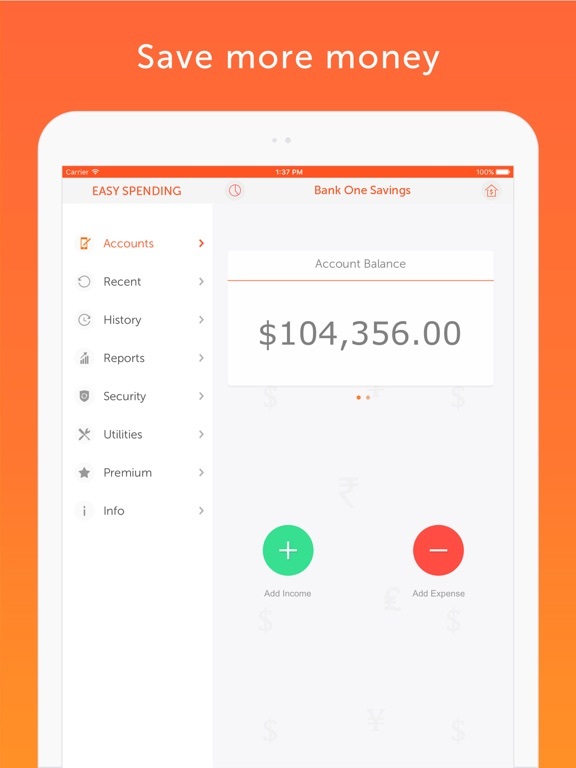 Easy Spending is now, all the more secure, with the addition of Automatic Backup Service in addition to the free email backup. 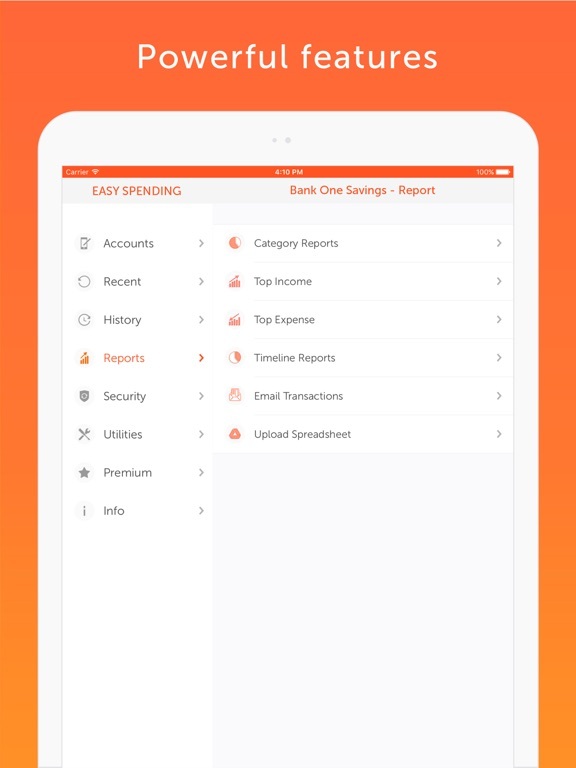 With this feature you never have to worry about losing valuable financial data, either through accidental deletion or change of device. You can restore it on any iOS device with this App installed. Comes with easy gestures with well spaced layouts and large fonts, for easy viewing and readability. 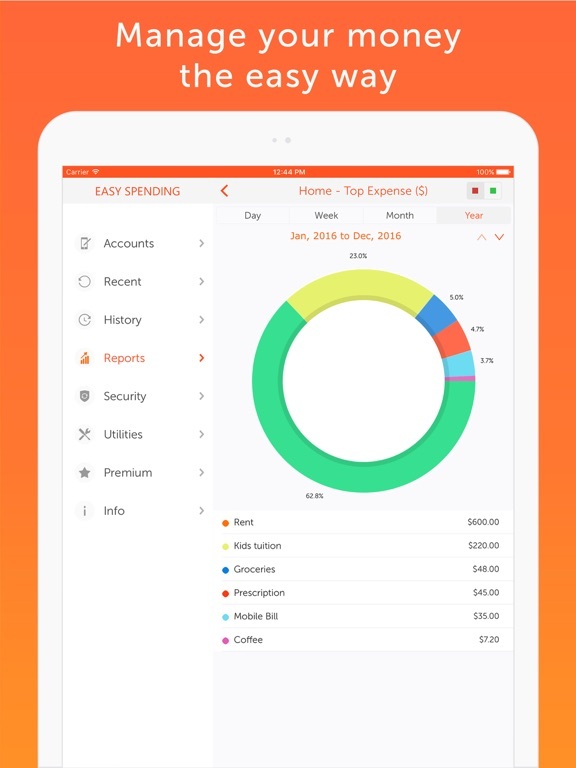 Great for maintaining monthly recurring bills with reminders, it has the convenience of an Finance Tracker and BILL reminders at one place. @ MULTIPLE ACCOUNT(S) Summary in a single screen, and nice reports. $ NOTIFICATIONS added to Default calendar for recurring transactions as an option. Using this option, NEVER forget to pay your BILL on time. $ See future bills/payments and income using, "UPCOMING TRANSACTIONS" view. $ Preview comments in History while drilling down the transactions. 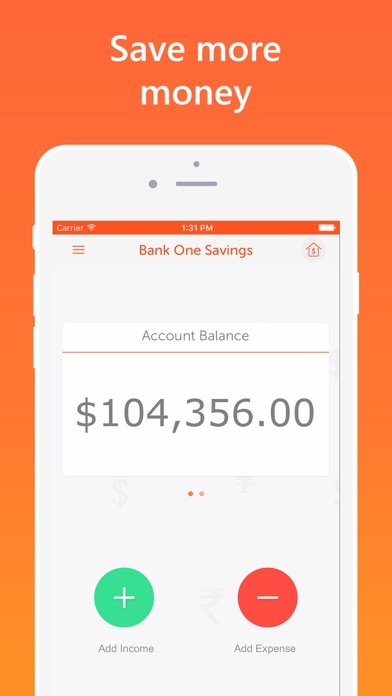 $ Use MULTIPLE accounts like Checking, Savings, Credit card, Cash flow, Mortgage accounts etc. $ Doughnut chart reports gives a clean break up of where your money is going. $ Email csv file of all your data for single or all of your accounts, saves a lot time during tax season. 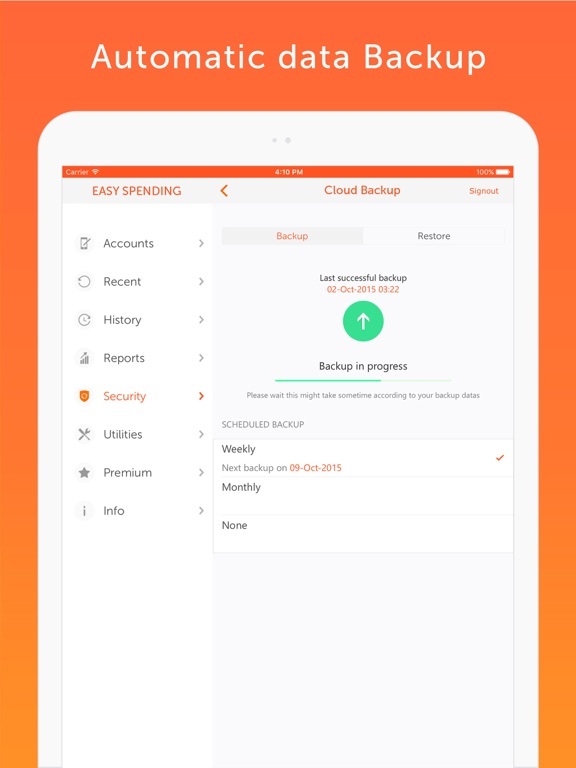 Automatic Backup Service is an auto-renewable In-App purchase that lets you take automatic backup without you having to do anything manually. 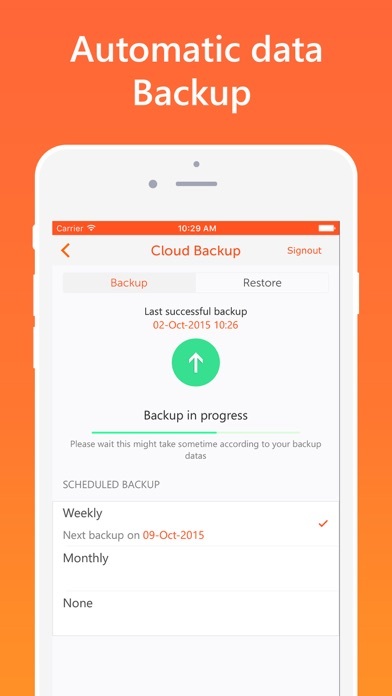 Just keep using the App, and an automatic backup of all you data is safely stored either weekly or monthly. When you App is deleted by mistake or phone is replaced there is no hassle in getting your data back. This feature is offered as a free trial for one month, and the cost of subscription is $0.99 per month, after the trial period. It auto-renews every month until it is cancelled. This feature is also offered as an annual subscription with a cost of $7.99 per year, with a initial trial period of 1 month. It auto-renews every year until it is cancelled. Payment will be charged to iTunes Account at confirmation of purchase, and account will be charged for renewal within 24-hours prior to the end of the current period. 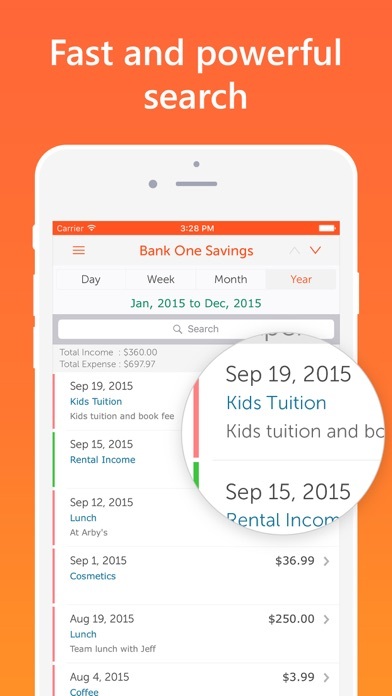 @ As a financial planner for 42 years this App is all you need. Its simple clean and to the point. If you think you need more than this, then you don’t get it. 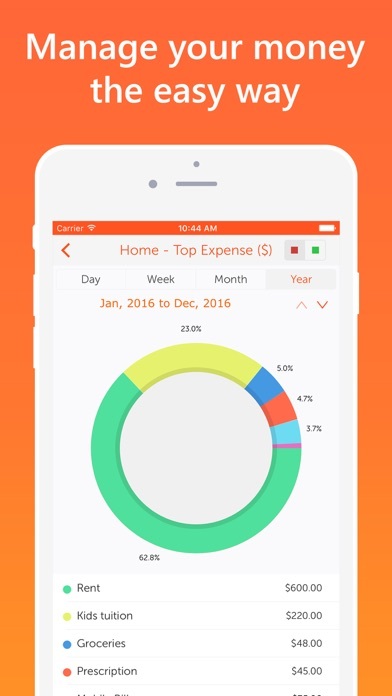 I am using this app to track our club income/expenses. So easy to use and to create reports then email to whoever needs a copy ! I love it !. Income value, now updates, when it's changed in history screen. 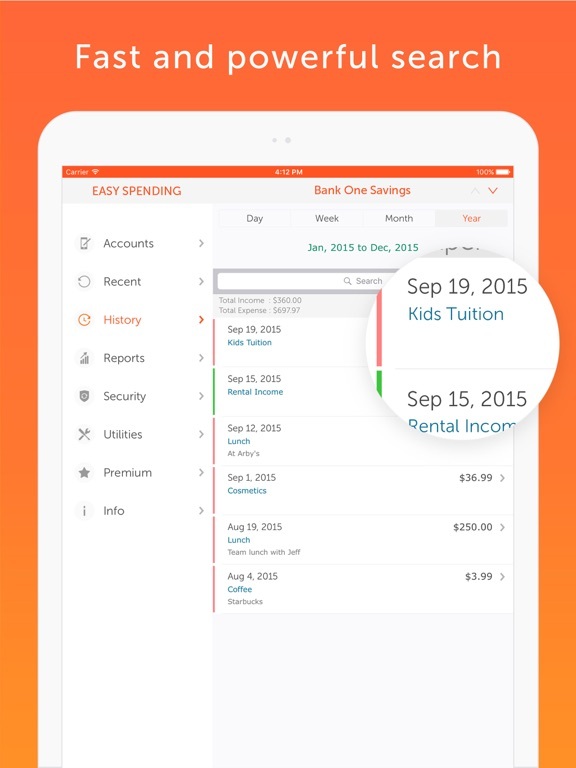 Updating Income / Expense in history view now updates the account balance in Main view. Fixed an issue while uploading to Google drive. Tous les prix sont affichés en euros (EUR €). 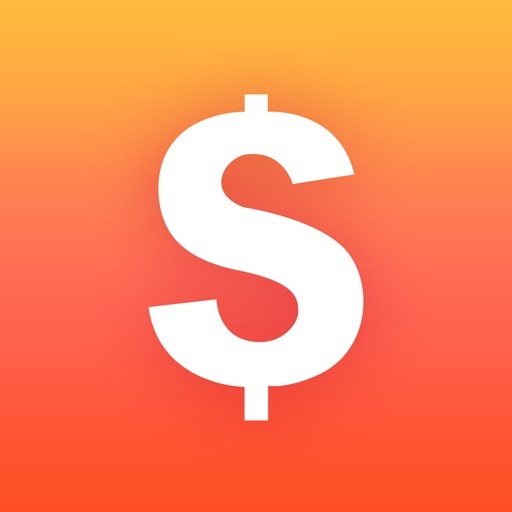 Ce prix a été vérifié pour la dernière fois sur l'App Store français il y a 7 heures et pourrait avoir changé.